The two time NBA champion and his chef restaurateur wife are expecting their third child, the mom-to-be announced on Instagram Friday. “Heyyyy how did this happen?!🤷🏽‍♀️. 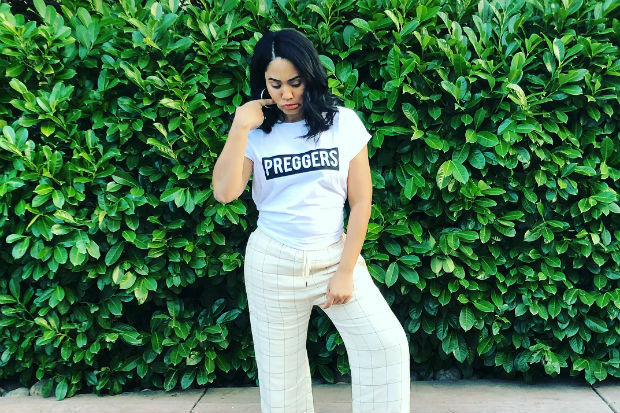 Curry party of 5,” Ayesha, 28, captioned a photo of herself looking down at her baby belly, wearing a T-shirt that reads “PREGGERS” — the same shirt Beyoncé famously rocked while pregnant with twins. “Feeling very blessed… and very sick. Yippie! #curryfor3😍🤰🏽,” she added. The couple, who met in a church youth group as teens and were married in 2011, are already parents to two daughters, Riley, 5, and Ryan, 2. We imagine they are already hard at work on another “R” name. Next Post Would You Marry You?